Showcase your favorite photos in this personalized Christmas wrapping paper. 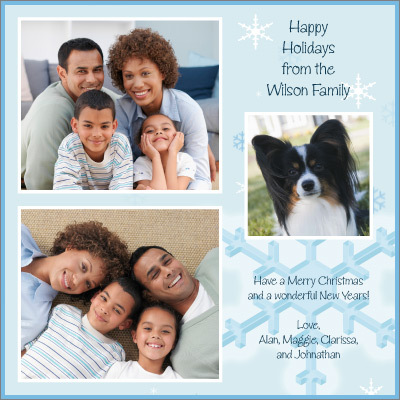 A wintery design with white and blue snowflakes provides a soft background, with three photos framed in white above. Include two custom messages for a more personal touch.